"Asking voters to go to the polls again would, I think, be totally wrong." So says Angela Merkel in a fresh sign that a different solution to Germany's political impasse is now firmly on the cards. A renewed 'Grand Coalition' with the Social Democrats (SPD) now seems the most likely remedy for the stalemate since September's general election. "People voted," the German Chancellor told a regional meeting of her CDU party in northern Germany on Saturday. "If we can't make anything out of that result, I don't think much of asking them to vote again. It's not our decision anyway. It's up to the German president to decide what to do". 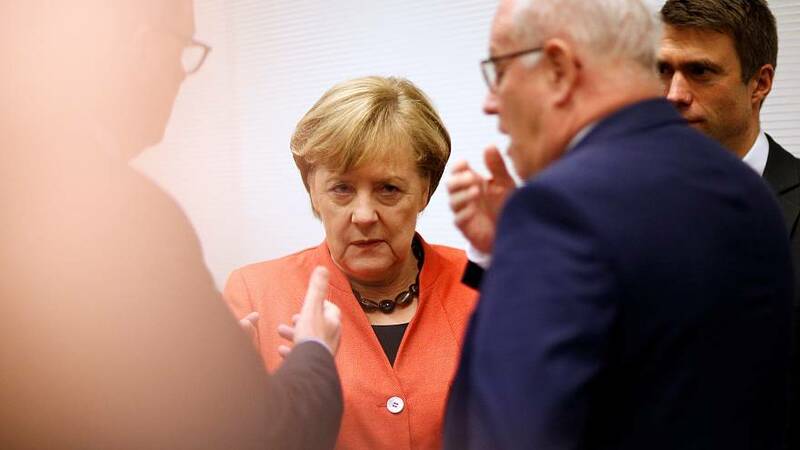 It was after meeting President Frank-Walter Steinmeier last week that SPD leader Martin Schulz agreed to hold talks with Merkel's conservatives. He had previously said his centre-left party would go into opposition after its support fell to a post-war low in the election two months ago. Merkel's fourth term was cast into doubt when her first attempts at forming a post-election alliance failed. The pro-business Free Democrats (FDP) walked out of three-way coalition talks with her conservative bloc and the Greens last Sunday. But on Friday, the SPD reversed its previous decision and agreed to talk to Merkel. President Steinmeier is to host Merkel, Schulz and the leader of her conservative CSU sister party for a meeting on Thursday.